Cancer is more than a physical disease. It touches all aspects of life – emotional, social and financial. Parkland patients face unique barriers to care. A lack of child care, transportation and needed psychosocial support are often reasons patients delay their need to receive medical care. Because of this, Parkland patients are more likely to be diagnosed with cancer at later stages. In 2016, more than 2,300 new cancer cases were diagnosed or treated at Parkland. Parkland completed more than 51,000 oncology clinic visits last year, averaging over 200 visits per day. The Texas Cancer Registry receives approximately 250,000 reports of cancer annually. At Parkland, it is understood that cancer is a lifelong journey. Highly trained oncologists, nurses and cancer services staff help patients every step of the way with care and compassion in a safe, comfortable setting. 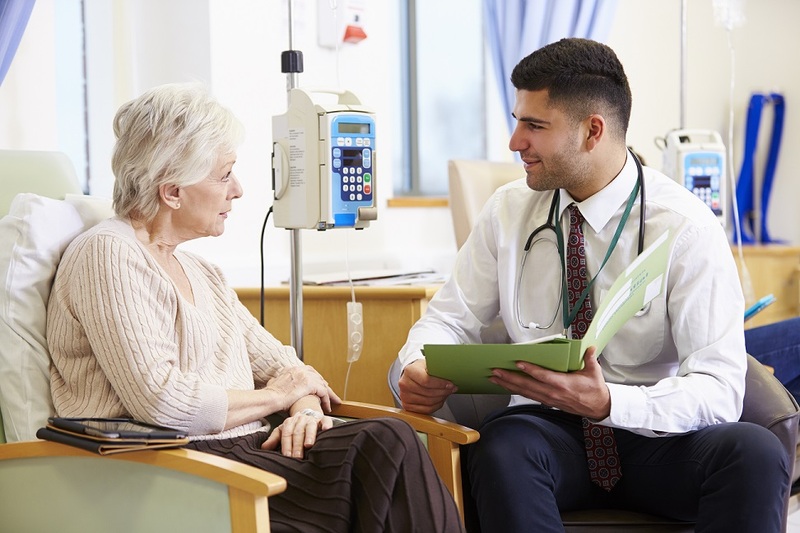 This multidisciplinary approach to care includes family and patient education, clinical trials and therapies, pharmacy services, nutrition and financial counseling and genetic testing for adult men and women with cancer. Parkland partners with the American Cancer Society to ensure those patients' cancer journeys go as smoothly as possible. Patient navigators are here to assist those diagnosed with cancer and their loved ones with educational materials, prevention information and more. Services also include emotional support and help with other issues related to a cancer diagnosis, such as how to obtain a disabled parking permit, financial assistance programs, food banks and transportation issues. Your gift to help the oncology program at Parkland will improve care for patients with cancer.